Click picture for closer look. 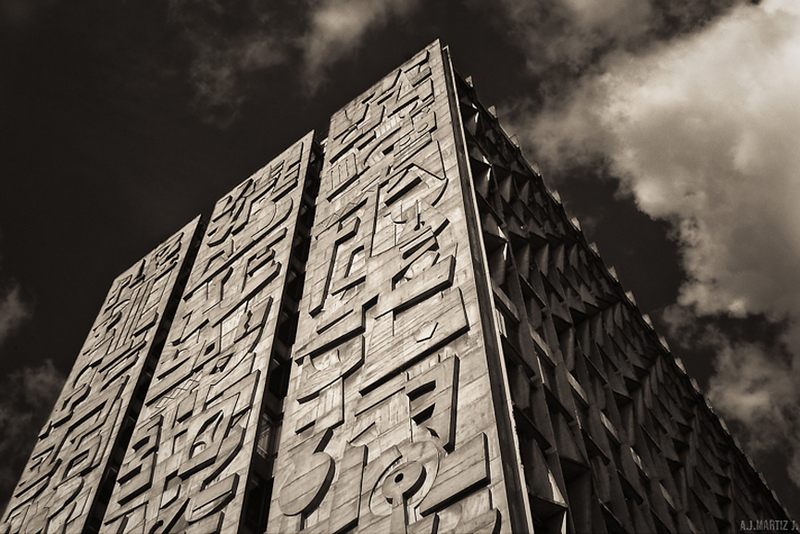 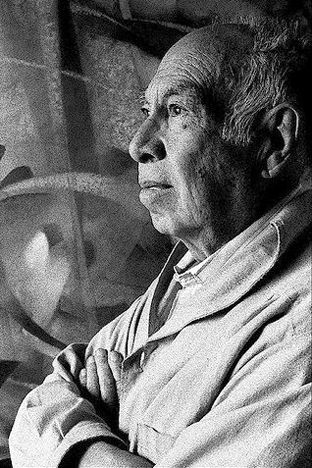 This incredible concrete relief mural was created by Guatemalan painter, sculptor and muralist Roberto González Goyri for the west-facing facade of the Bank of Guatemala in 1964-65. 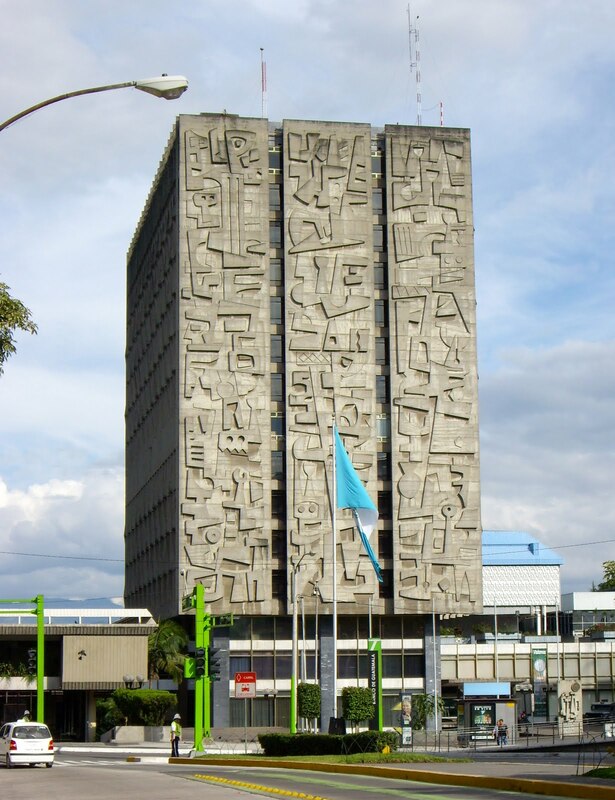 The Mayan/Pre-Columbian inspired design made up of 3 sections each measuring 7.2 x 40 meters with relief-depths ranging from 5-12", was cast in situ using multiple wood forms which measured 1.22 x 2.44 meters each. 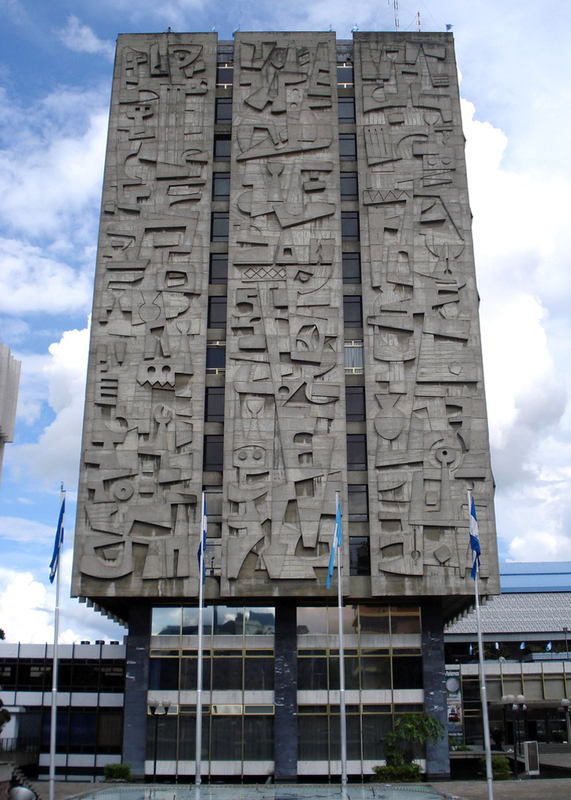 The Bank has a document that explains the mural in depth but it is in Spanish- see it here. 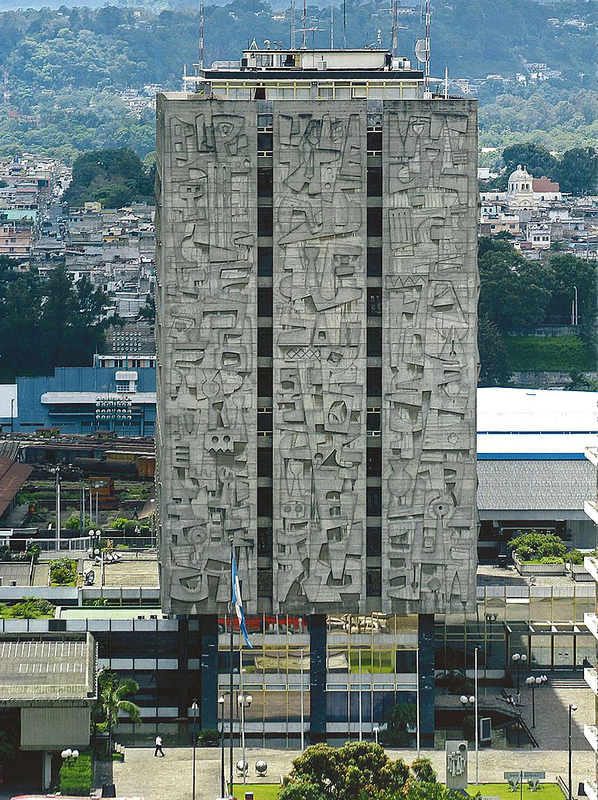 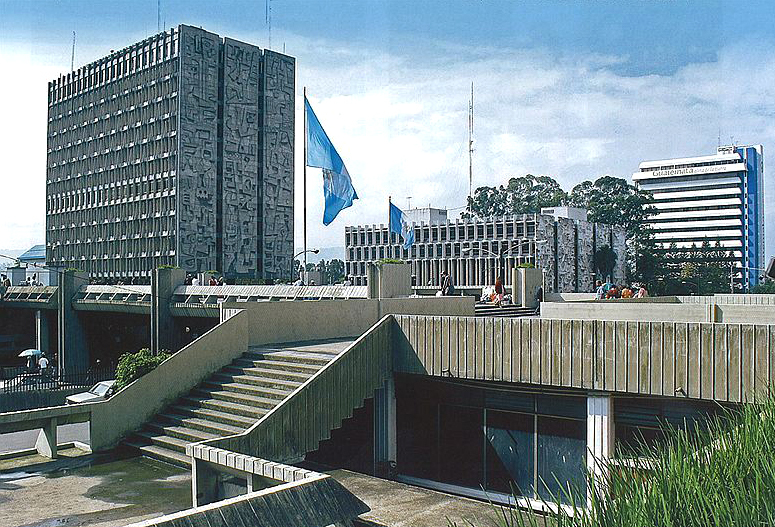 There is also a mural on the east-side of the bank designed by Dagoberto Vásquez; in fact most of the buildings located at the Guatemala Civic Center (where the bank stands), are adorned with relief murals. unbelievable - so sad that concrete and portland cement art/skills seem to have vanished.